This study uncovered that the field of consumer behaviour represents a broad ranging category where marketers seek to understand individual and group motivations, reactions and responses to varied product and service situations (Solomon et al, 2009). It found the processes and activities undertaken by consumers regarding the stages and steps of the decision and buying process (Gupta et al, 2004). The cognitive approach was found to look at consumer perceptions in processing information that acknowledges social and environmental experiences (Watson and Spence, 2007). Humanistic models delve into behavioural perspectives as opposed to the perception aspects of the cognitive approach. The above summary of the two major consumer categories represented the basis for understanding how they guide the differing models and theories under each. It was ascertained that in terms of cognitive and humanistic, the varied theories and models under them all have special attributes. These represent the basis for the selection of the theory or model suited to individual product or service categories. Bray (2008) explained that the cognitive approach is credited to Hebb’s Stimulus Organism Response model that was introduced in the early 1950s. Hebb’s model states that there is a linear relationship concerning the impact of stimuli. This concept has been criticised by Kahle and Close (2006) along with Tyagi and Kumar (2004), who state that the Hebb’s model lacks the capacity to account for past experiences as its shortcoming. Bray (2008) explains that people usually respond to the cognitive aspects of their environments, and that these cognitive areas are related to the parameters and processes of learning. He adds that feelings, behaviours and thoughts are connected in a casual manner. Regarding behavioural facets, it emphasises processes connected to human behaviour such as environmental stimuli and their behavioural responses (Zimmerman, 2008). Consumer decisions under the cognitive designation consist of three models (Bauer et al, 2006). These represent the utility, satisficing, and prospect theories (Steel and Konig, 2006). The utility theory proposes that people make their decisions based upon expected outcomes (Steel and Konig, 2006). It also views consumers as actors that are rational and able to foresee or estimate the potential outcomes of decisions they make that include the potential for uncertainty. This is a flaw in the utility theory as the unknown end utility functionality of a purchase is debatable at best. The satisficing model is a newer alternative to the utility model that was first proposed in the 1700s by Nicholas Bernoulli (Richrme, 2005). It represents larger and longer term consumer decisions. In many cases, good enough is the explanation for this type of decision process (Richrme, 2005). Elements of the utility theory are included in the satisficing model, but since the decision is made less often, consumers tend to accept a different basis for purchase or decision making then those products that are replaced more often (Richrme, 2005). The limitations of funds to purchase exactly what one prefers is a constraint under this consumer behavioural model that in most cases causes consumers to settle as opposed to optimising their decision to meet all of their wants and desires (Bray, 2008). Bray (2008) argues that in many causes the optimal purchase cannot be determined, and that consumers tend to lack the capacity to find the best purchase option. The prospect theory was developed in the mid 1970s by Amos Tversky and Daniel Kahneman (Sirakaya and Woodside, 2005). It added value to replace utility. Value represents a point of reference that consumers can use to determine the gains or losses from a purchase (Camerer et al, 2011). The prospect theory helps to explain aspects of consumer behaviour that are not completely explained under the utility theory. These represent the emotional connection and the potential that the extent of a problem is not fully understood (Sirakaya and Woodside, 2005). These are strengths of the prospect theory over the utility and satisficing theories. Camerer et al (2011) found that the prospect theory might predict outcomes that are not accurate due to the fact it does not consider the characteristics of decision makers regarding their past history, and the context of the decision areas represented by the type of purchase (large versus small ticket items in terms of price or frequency). Friesner (2014) adds that understanding consumer buyer behaviour entails how it links to the marketing mix represented by price, place, promotion and product. He advises that marketers and consumers are intertwined as the former modify their approaches to create a climate for consumer action, and that that the reaction of consumers causes continued modifications to the 4Ps. The above explains the strength and weakness of buying behaviour as it is based on the parameters of past and current consumer motivations, and actions. This same strength also represents a weakness as new products; better information availability (such as the Internet) and shifting product reputations mean that buying behaviour patterns and rationales are consistently changing (Calonius, 2006). The theory of reasoned action is a method to predict behaviour, attitude and intention (Cooke and French, 2006). It separates intention from behavioural aspects that provide the framework to explain the impact of attitude (Hale et al, 2002). The main tenets are based on attitude, behavioural intention and subjective norm (Cooke and French, 2006). Attitude represents the beliefs formed by a consumer concerning a behavioural approach that include the assessment of what the consequences might be. Behavioural intention looks at the strength of an individual’s intention in performing a behaviour, with the subjective norm representing perceived expectations based on other people or groups, and how a person measures up to these norms (Cooke and French, 2006). The weakness of reasoned action is that the sum of the comparison group forms the basis for measurement. If the intentions, subjective norms or attitude are improperly gathered, it negatively affects the outcome. The theory of planned behaviour connects behaviour and beliefs (Ajzen, 2011). It is an improvement on the theory of reasoned action as it adds perceived behavioural control to attitude, behavioural intention and subjective norm (Ajzen, 2011). The addition of perceived behavioural control looks into the perceptions individuals carry regarding their capability to perform a type of behaviour (Kraft et al, 2005). This is the strength of the theory as it delves into the potential presence of factors that may impede or aid behaviour performance. Conversely, it also represents a weakness because if the perception does not accurately reflect actual behavioural control, it can cause incorrect conclusions or assumptions (Kraft et al, 2005). 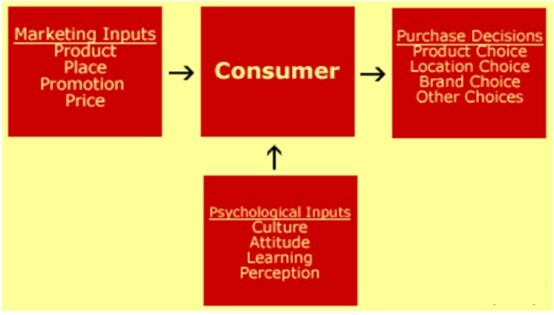 Humanistic models of consumer behaviour are close to the behavioural perspective with some key differences (Wong, 2006). It is defined by Davis and Palladino (2010) as focusing on areas that can be observed and emphasises the learned nature of such behaviours. The humanistic model places emphasis on the individual and their psychodynamic determinants that consist of behaviours that can be observed and their reaction to external stimuli (Wong, 2006). Humanistic models also take into account the psychology represented by Maslow’s hierarchy of needs that observed people tend to be motivated by rewards or unconscious desires (Koltko-Rivera, 2006). Maslow refers to the four bottom tiers as representing deficiency needs (Anderson, 2014). He explains that individuals become anxious when these needs are not met or if they are under threat. The top tier represents growth as it permits individuals to employ self-actualisation that include independence, objectivity, awareness, creativity and honesty (Anderson, 2014). Bourdieu (Trigg, 2004) along with Rouse (2004) and others have criticised Maslow’s hierarchy of needs as being too schematic (meaning too planned or structured) and as lacking in scientific principles. Others such as Oleson (2004) and Dye et al (2005) state it provides a useful theory and intuitive guide to understand aspects of human motivation. The humanistic approach and its models represent that people have the capacity to guide and shape their destiny and thinking to design courses of action they can follow or amend as circumstances or situations change (Davis and Palladino, 2010). The theory of trying represents a consumer seeking to act on a particular thought or series of thoughts connected to a potential purchase (Ahuja and Thatcher, 2005). Carsrud et al (2009, p. 155) explain it as “an attitude toward a reasoned action is replaced by an attitude toward trying and an intention is restricted to an intention to try”. The theory integrates hierarchical goals into a behavioural context that people use to work toward a decision (Ahuja and Thatcher, 2005). It delves into the processes individuals work through in attempting to solve a selection problem that includes looking at the varied options that are available. As shown by the above, the stages contributing to the theory channel into intention to try before being considered or actualised. The issue with the theory is that it represents a subjective process that seeks to identify a switch in consumer intention from attitude to trying (Ahuja and Thatcher, 2005). This entails opinions based on the recorded intentions or attitudes of individuals that might have been perceived incorrectly. The other aspect that represents a weakness is that it is skewed toward the evaluation of the potential consumption patterns of individuals as opposed to their buying behaviour (Ahuja and Thatcher, 2005). The model of goal-directed behaviour is complex due to attitude, positive and negative anticipated emotions and subjective norms contributing to desires. As shown in the above figure, desire is a critical component that also represents a potential source of misunderstanding as it is a subjective area that can easily be misconstrued concerning consumer behaviour. This exploration of cognitive and humanistic models uncovered that the varied theories and approaches under each has their own unique attributes. It was also found that each tends to have specific attributes that fit varied situations or circumstances based on what marketers are seeking to uncover to utilise in the development of campaigns and approaches to generating sales. The cognitive approach seeks to uncover experiences, feelings, values, expectations and thoughts consumers develop and use as a part of their decision, and reasons for action. The three approaches under consumer decision making primarily represent rational (utility), expectations (satisficing) and value (prospect) approaches. The theory of buyer behaviour is a complex process that is influenced by marketing (the 4Ps), along with purchase considerations and psychological aspects that include perception and learning. The deeper a marketer elects to explore the above leads to using the theory of reasoned action that seeks to separate intention from behavioural aspects. This can thus be used to delve into the theory of planned behaviour that adds attitude and perceived behavioural aspects. Whilst the humanistic models concerning consumer behaviour have a close affinity to behavioural perspectives, they place more emphasis on psychodynamic aspects and individuals using phenomenon that is observable and learned from such behaviours. 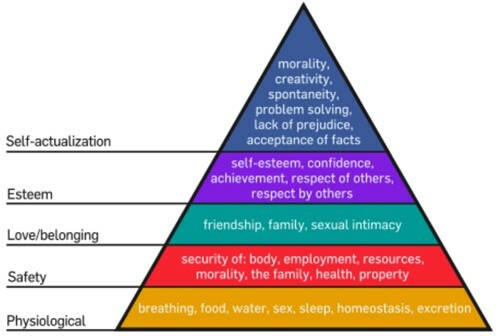 Maslow’s hierarchy of needs explained that the self actualisation phase as the top tier was applicable under the humanistic approach as it represents the stage where base needs no longer control decisions. The theory of trying demonstrates the above as it represents a consumer seeking to act on a particular thought as the means to decide on a selection using hierarchical goals. Goal directed behaviour is more personally motivated as it utilises desires as a core component in the process. It was found that each of the theories and models examined under cognitive and humanistic approaches had their strengths and shortcomings. This is because each of these models are based on differing approaches such as uncovering experiences, feelings, values, expectations and thoughts under cognitive, compared to psychodynamic and individuals observable phenomenon for humanistic. This study brought out that no one model or theory adequately explores or explains consumer decision making or behaviour, but that through combinations, marketers can arrive at more comprehensive understandings. Ahuja, M., Thatcher, J. (2005) Moving beyond intentions and toward the theory of trying: effects of work environment and gender on post-adoption information technology use. MIS Quarterly. 29(3). pp. 433-437. Ajzen, I. 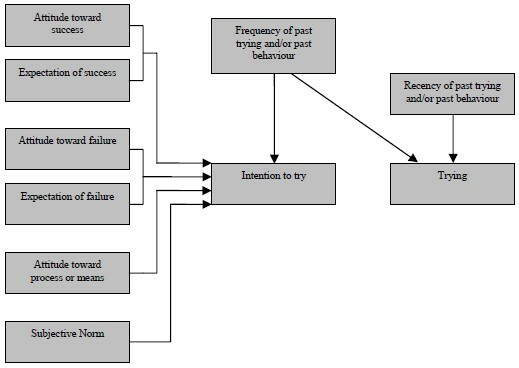 (2011) The theory of planned behaviour: Reactions and reflections. Psychology and Health. 26(9). pp. 1115-1116. Anderson, A. (2014) Maslow’s Hierarchy of Needs. The Prairie Light Review. 36(2). pp. 4-6. Bauer, H., Sauer, N., Becker, C. (2006) Investigating the relationship between product involvement and consumer decision-making styles. Journal of Consumer Behaviour. 5(4). pp. 348-351. Camerer, C., Loewenstein, G., Rabin, M. (2011) Advances in Behavioral Economics. Princeton: Princeton University Press. Carsrud, A., Brannback, M., Elfving, J. &amp; Brandt, K. (2009) Motivations: The Entrepreneurial Mind and Behaviour. In Carsrud, A. &amp; Brannback, M. Understanding the Entrepreneurial Mind: Opening the Black Box. New York”Springer Publications. Cooke, R., French, D. (2006) How well do the theory of reasoned action and theory of planned behaviour predict intentions and attendance at screening programmes? A meta-analysis. Psychology and Health. 23(7). pp. 751-754. Davis, S., Palladino, J. (2010) Psychology. New York: Pearson Education. Dye, K., Mills, A., Weatherbee, T. (2005) Maslow: man interrupted: reading management theory in context. Management Decision. 43(10). pp.1385 – 1393. Gupta, A., Su, B., Walter, Z. (2004) An Empirical Study of Consumer Switching from Traditional to Electronic Channels: A Purchase-Decision Process Perspective. International Journal of Electronic Commerce. 8(3). pp. 134-137. Hagger, M. &amp; Chatzisarantis, N. (2007) Social Psychology of Exercise and Sport. London: McGraw-Hill International. Hale, J., Householder, B., Greene, K. (2002) The theory of reasoned action. In Dillard, J., Pfau, M. The persuasion handbook: Developments in theory and practice. Thousand Oaks Sage Publications. Kahle, L., Close, A. (2006) Consumer Behaviour Knowledge for Effective Sports and Event Marketing. New York: Taylor and Francis. Koltko-Rivera, M. (2006) Rediscovering the later version of Maslow’s hierarchy of needs: Self-transcendence and opportunities for theory, research, and unification. Review of General Psychology. 10(4). pp. 308-311. Kraft, P., Rise, J., Sutton, S., Raysamb, E. (2005) Perceived difficulty in the theory of planned behaviour: Perceived behavioural control or affective attitude? British Journal of Social Psychology. 44(3). pp. 481-484. Oleson, M. (2004) Exploring the relationship between money attitudes and Maslow’s hierarchy of needs. International Journal of Consumer Studies. 28(1). pp. 81-82. Pickton, D., Broderick, A. (2005) Integrated Marketing Communications. London: Prentice Hall. Rouse, K. (2004) Beyond Maslow’s hierarchy of needs what do people strive for? Performance Improvement. 43(10). pp. 27-31. Sirakaya, E., Woodside, A. (2005) Building and testing theories of decision making by travellers. Tourism Management. 26(6). pp. 819-821. Solomon, M., Zaichlowsky, J., Polegato, R. (2009) Consumer Behaviour: Buying, Having, and Being. New York: Prentice Hall. Steel, P., Konig, C. (2006) Integrating Theories of Motivation. Academy of Management Review. 31(4). pp. 851-857. Trigg, A. (2004) Deriving the Engel Curve: Pierre Bourdieu and the Social Critique of Maslow’s Hierarchy of Needs. Review of Social Economy. 62(3) pp. 395-397. Watson, L., Spence, M. (2007) Causes and consequences of emotions on consumer behaviour: A review and integrative cognitive appraisal theory. European Journal of Marketing. 41(6). pp.497 – 501. Wong, P. (2006) Existential and Humanistic Theories. In Jay, T., Segal, D., Hersen, M. Comprehensive Handbook of Personality and Psychopathology: Personality and Everyday Functioning. Hoboken: John Wiley &amp; Sons Inc.
Zimmerman, B. (2008) Investigating Self-Regulation and Motivation: Historical Background, Methodological Developments, and Future Prospects. American Educational Research Journal. 45(1) pp. 171-175.